Bolt on design that installs with simple hand tools. Accepts winches from all major manufacturers such as Warn, Ramsey, Superwinch, Mile Marker and T-Max. Accommodates 9.5 winches and select 12K winches within the bumper body and accepts roller fairleads. Integrated Hi-lift jacking points. Matches front width of factory fender flares for an aggressive and stylish look. Heavy duty LINE-X coat finish to provide maximum protection for years to come. Heavy gauge CNC laser cut 3/16th steel plate construction. Massive ¼" steel plate mounting brackets. 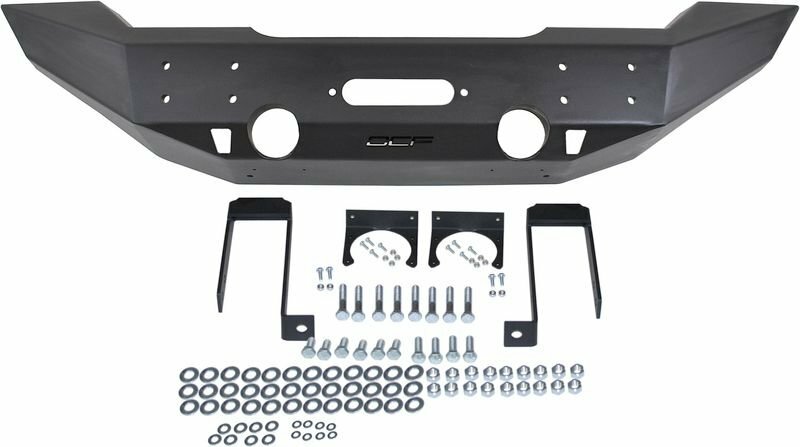 Accepts the factory fog lights for an OE look and simple installation. 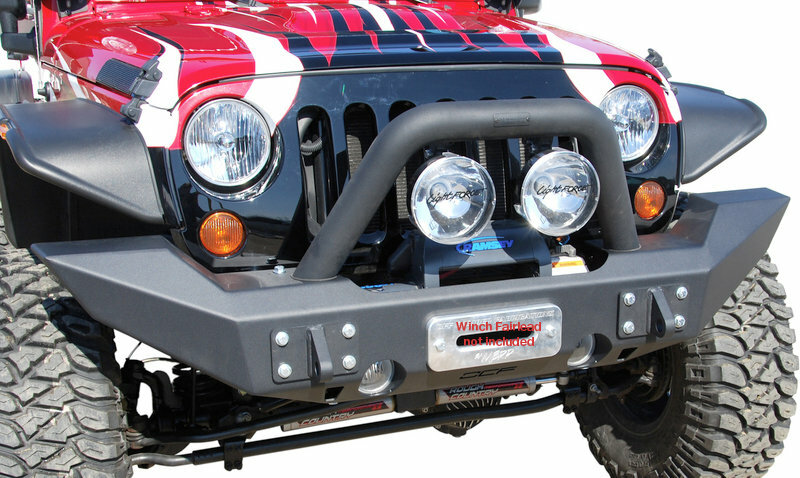 Accepts OCF Light Bar/Grill Guard and D Ring Mounts. Shown with optional OCF billet fairlead. 2012-2013 need Vacuum Pump Relocation Kit!